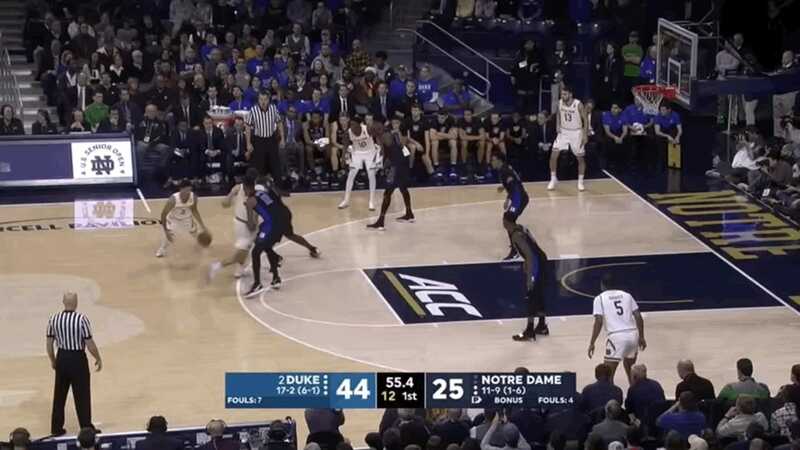 The disgusting Duke Blue Devils worked on Notre Dame Monday night, behind another ridiculous performance from Zion Williamson. Young Zion scored 26 points in 33 minutes, on just 12 total shots, and pulled down nine rebounds, and led the game with four blocks. In general he was way too much for the Fighting Irish, because he is the size of a rhinoceros and also he can fly. That video is more-or-less what it would look like if it were to escape from a tiger, minus some gore. Humans that are huge should not be able to move like that.